Betty is a soap opera loving waitress in a small town in Kansas. She is totally unaware that her husband is planning on leaving her for his secretary. She is also in the dark about his side business as a drug dealer. Betty's mental state takes a nose dive after witnessing the murder of her husband. Without any training Betty is soon helping people at her new pharmacy job. Meanwhile, she is pursued by the two hit men that knocked off her husband. They want the drugs hidden her car. 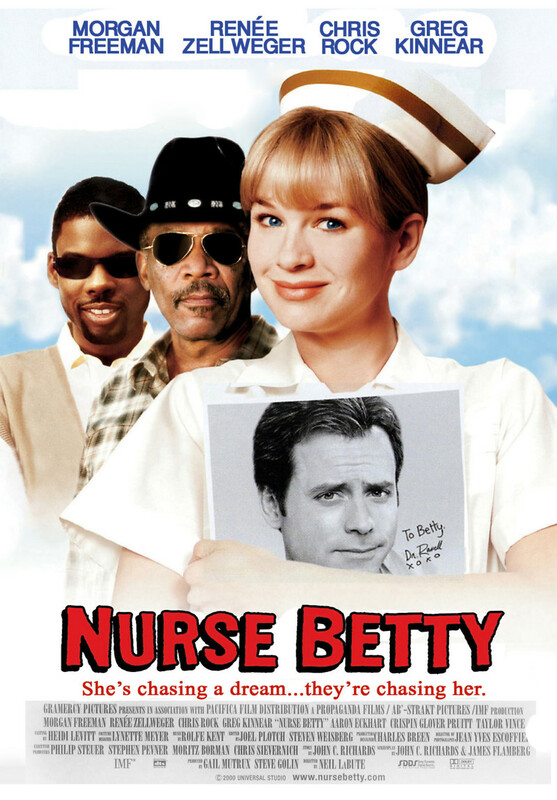 Betty gets the chance to play Nurse Betty on TV. She is in crisis as she remembers details about the tragedy she witnessed. Now she must tell the whole truth in order to save her life.